Microsoft has been very quiet about the future of their Windows Phone devices after completing the purchase of Nokia. However, rumours have been surfacing that the new Microsoft Devices divisions has a successor to the Lumia 1020 as part of its plans. Not to mention a stab at what appears to be a new form of gesture controls borrowed from Microsoft’s Kinect. Code named McLaren, the new flagship device for Microsoft Devices apparently features a large hump on the back of the smartphone. 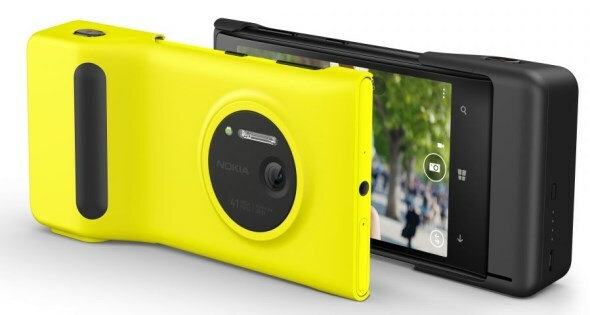 The Verge expressed the understanding that this hump is to make space for another powerful camera, similar to the design of the Lumia 1020. Also included in the McLaren is a number of sensors to allow the device to implement the 3D Touch system. This will allow users to interact with the phone simply by how they are holding it. While answering calls by lifting the phone is not a new feature, although the 3D Touch will also allow for muting of calls while the phone is covered and dismissing notifications with the wave of a hand. Microsoft is also apparently working with methods for removing the power button; to allow users to activate their phone simply by holding it. This last feature does not look like it is going to make it off the drawing board. It is being reported that the 3D Touch system will be exclusive to Microsoft devices, which means that it won’t find its way onto any planned Windows Phone devices from Samsung, HTC, or anyone else. Not that manufacturers have been rushing to adopt Windows Phone.